Beginning April 20, crews will repave 13 miles of concrete and asphalt, and install 37 new bridge-expansion joints, in the northbound lanes from Martin Luther King Jr. Way to Northeast Ravenna Boulevard. 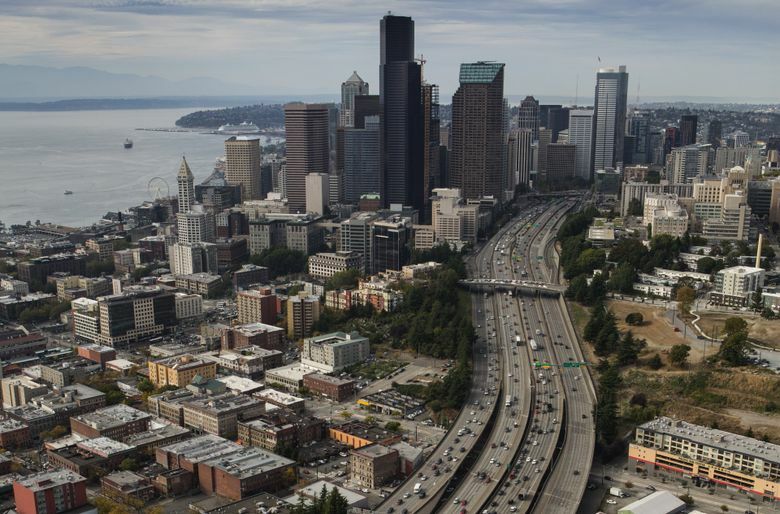 State transportation officials are warning of major traffic delays on northbound Interstate 5 through Seattle during at least six weekends this spring and summer as crews restrict lanes to repair and resurface the roadway. For at least two of the six weekends, all northbound lanes will be closed. Lanes will be reduced beginning about 9 p.m. Friday until 5 a.m. Monday. All northbound lanes will be closed the weekends of May 18 and June 1, from West Seattle Bridge to Yesler Way. Northbound I-5 will be reduced to two lanes April 20-23, April 27-30, May 11-14 and July 13-16. The work is a continuation of I-5 resurfacing that started last year on a section of freeway that had not been repaved since it was built in the 1960s. Tom Pearce, a spokesman for the Washington Department of Transportation (WSDOT), said the weekends were chosen after reviewing popular events happening concurrently in the city. While crews are working, WSDOT advises commuters to use transit, ride a bicycle or carpool. The agency also suggests traveling before 8 a.m. or after 8 p.m., moving nonessential travel to another weekend or using highways 99, 509, 518 and I-405 instead. The state Legislature funded the $51.2 million project to preserve existing roadway at the worst sections of I-5. Should weather alter planned closures, WSDOT will send out email alerts.